Eversince Jig Asia announced the postponement of U-Kiss’s concert, which no doubt left many Kiss Mes disappointed, the wait is now over. 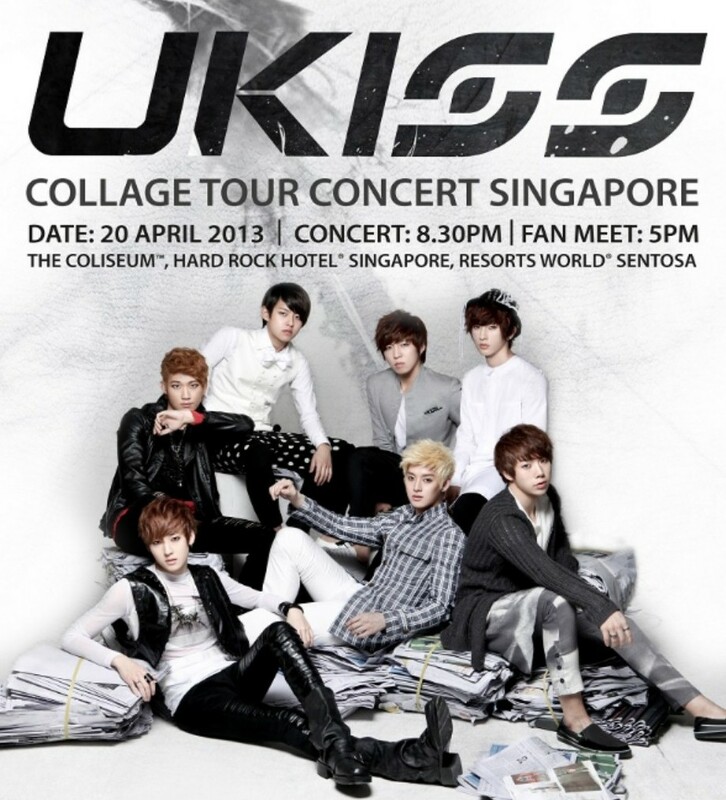 U-Kiss’ concert is finally confirmed to be held on 20th April 2013 at The Coliseum (Hard Rock Hotel), Resorts World Sentosa! Tickets can be purchased through Jig Asia’s Website or Facebook. Do stay tuned to (x)clusive as we bring to you the latest updates on U-Kiss ‘Collage’ Tour Concert Singapore. The fanmeet and concert held at same place? The vvip 4:30pm can go in, how abt those that going for the fanmeet? Hi! May I know what’s in the goodie bag? and for the autograph session do we have to purchase our own album and bring it for the session or it’s included in the VIP ticket packaege? Able to help me find ukiss VVIP ticket? Able to buy at a higher rate! Hey, does anyone know when and what time will ukiss flight land in Singapore? i really want to go and meet them.